Reginald Gardner Jr missed Three Point Jumper. Raasean Davis made Two Point Tip Shot. Reginald Gardner Jr made Jumper. John Guerra made Layup. Assisted by Jordan Perkins. Pablo Rivas made Jumper. Assisted by Raekwon Harney. Raekwon Harney missed Three Point Jumper. Larry McKnight Jr. missed Layup. Pablo Rivas made Layup. Assisted by Jordan Perkins. Reginald Gardner Jr made Three Point Jumper. Assisted by Jordan Perkins. Reginald Gardner Jr missed Jumper. Pablo Rivas made Jumper. Assisted by Jordan Perkins. Pablo Rivas made Two Point Tip Shot. 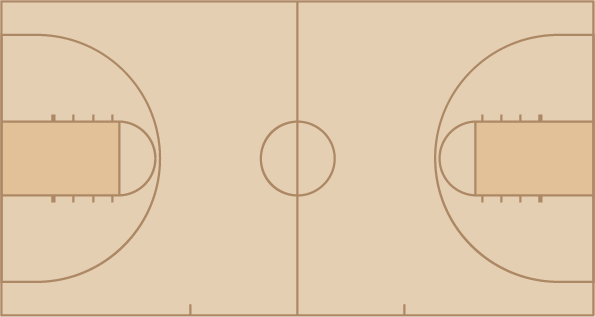 Dominique Reid missed Three Point Jumper. John Guerra made Three Point Jumper. Assisted by Pablo Rivas. John Guerra made Three Point Jumper. Assisted by Jordan Perkins. Pablo Rivas made Three Point Jumper. Assisted by Jordan Perkins. John Guerra missed Three Point Jumper. Reginald Gardner Jr made Three Point Jumper. Assisted by Raekwon Harney. Pablo Rivas missed Three Point Jumper. Dominique Reid made Jumper. Assisted by Jordan Perkins. Pablo Rivas made Layup. Assisted by Raekwon Harney. Trevond Barnes missed Three Point Jumper. Kalin Fisher made Jumper. Assisted by Greg Heckstall. Charles Wilson-Fisher made Dunk. Assisted by Greg Heckstall. Trevond Barnes made Dunk. Assisted by Jermaine Marrow. Kalin Fisher made Three Point Jumper. Assisted by Greg Heckstall. Malique Trent-Street made Three Point Jumper. Trevond Barnes made Jumper. Assisted by Malique Trent-Street. Akim Mitchell made Layup. Assisted by Malique Trent-Street. Trevond Barnes made Dunk. Assisted by Malique Trent-Street. Jermaine Marrow made Three Point Jumper. Assisted by Greg Heckstall. Kalin Fisher made Layup. Assisted by Akim Mitchell. Akim Mitchell made Layup. Assisted by Kalin Fisher.